SKU: 16. 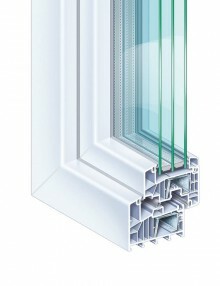 Categories: PVC profiles, Trocal, Windows and Doors. Tags: 76mm, PVC, Trocal. The concept behind a passive house works only with a refined thermal insulation that limits the annual heating needs to 15 kWh per square metre of living space. This allows a building to be heated alone from passive energy sources without the need for a separate heating system. 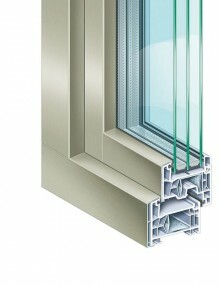 One of the most important components here is the window system. The slender profile sight lines presented by TROCAL 76 with the aluminium cover not only allow a modern design with large glazed areas, but also increase solar heat gains. The passive house institute ift in Rosenheim calculates the thermal insulation value for the PVC-U window frame in accordance with DIN EN ISO 10077-2. The condition here is a value Uf less than 0.96 W/(m²K). Ultimately, though, it is not solely the Uf value that decides the passive house suitability of a window, but also the Uw value, i.e. 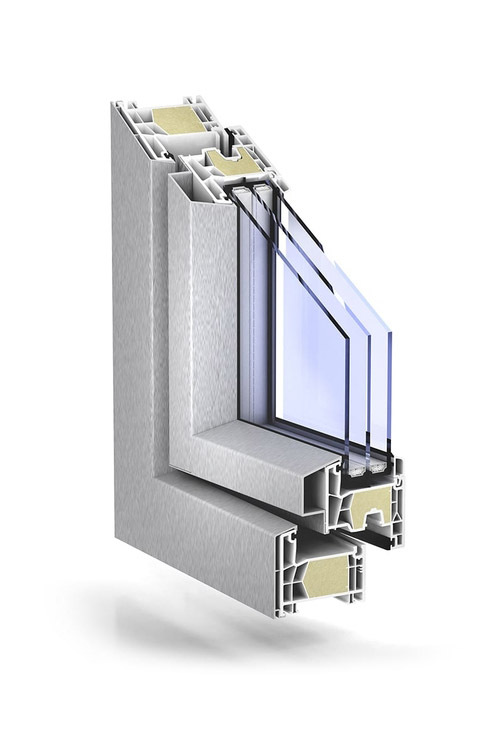 the thermal insulation values for the whole window. This must be ≤ 0.8 W/(m²K). Thanks to the two upgrade technologies AluClip Pro and proEnergyTec, the double seal system TROCAL 76 exhibits a Uf value of 0.93 W(m²K), fulfilling precisely these passive house requirements under the ift guideline WA-15/2. TROCAL 76 AluClip Pro gives you the best of two worlds: PVC-U and aluminium in the one innovative system. PVC-U provides the optimal thermal and sound insulation in addition to functional reliability. Aluminium presents a convincing elegance, the best weather resistance, and a wide range of colours. Yet another advantage – the aluminium takes over the load bearing functions, so no steel reinforcements are needed in the window sash. 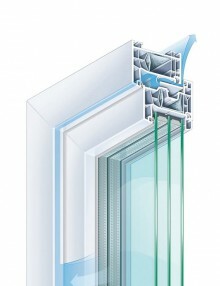 The KÖMMERLING 76 double seal system offers all the benefits modern windows can give you. This double seal system with five chambers and 76 mm construction depth offers a fascinating combination of modern design and perfect profile proportions. Whether function, structural properties, insulation values, environmental protection, or preservation of value, it fulfills the requirements of both today, and above all tomorrow. 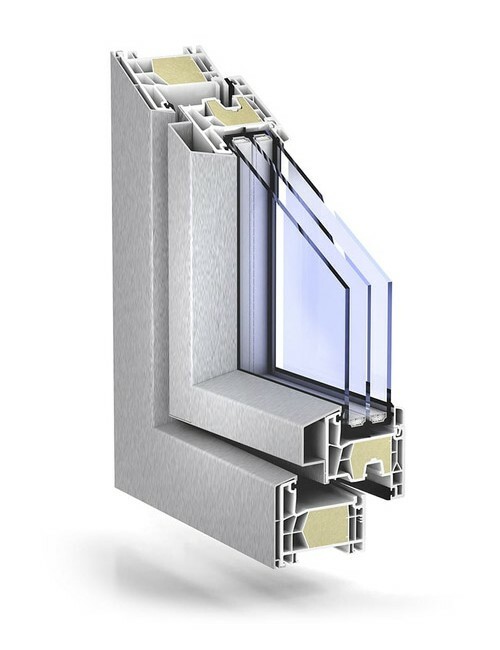 The KÖMMERLING 76 double seal system is such an innovative design that it can take modern triple glazing or special functional glazing with panes up to 48 mm thick. Thanks to intelligent fastening technology, the professional installation is fast, clean, and effortless. So replacing old windows with new modern KÖMMERLING 76 double seal systems could not be easier. The high-insulation thermo centre seal system with six chambers and 88 mm construction depth offers a fascinating combination of modern design and perfect profile proportions. 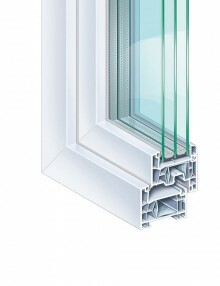 The sealing levels and the innovative sash rebate seal serve to enhance the performance features. 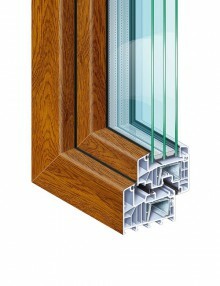 The wide glazing range of 22–54 mm allows the installation of modern triple and special functional glazing. Centre seal system with 88 mm construction depth, Uf value = 1.0 W/(m²K). 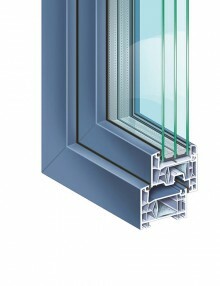 Wide glazing range of 22–54 mm for installation of modern triple and special functional glazing. High protection against driving rain, optimal windproof properties, and outstanding sound insulation up to 48 dB (class 5). Burglary test – resistance class RC 2. Floor-to-ceiling window walls – sash doors up to 2.5 m high. Optimum economic efficiency; easy care, environmentally friendly, durable, and robust.